The holidays are here and most of us can use a little magic to stay calm, kind, happy, and filled with wonder during this busy, and often emotionally challenging, time of year. 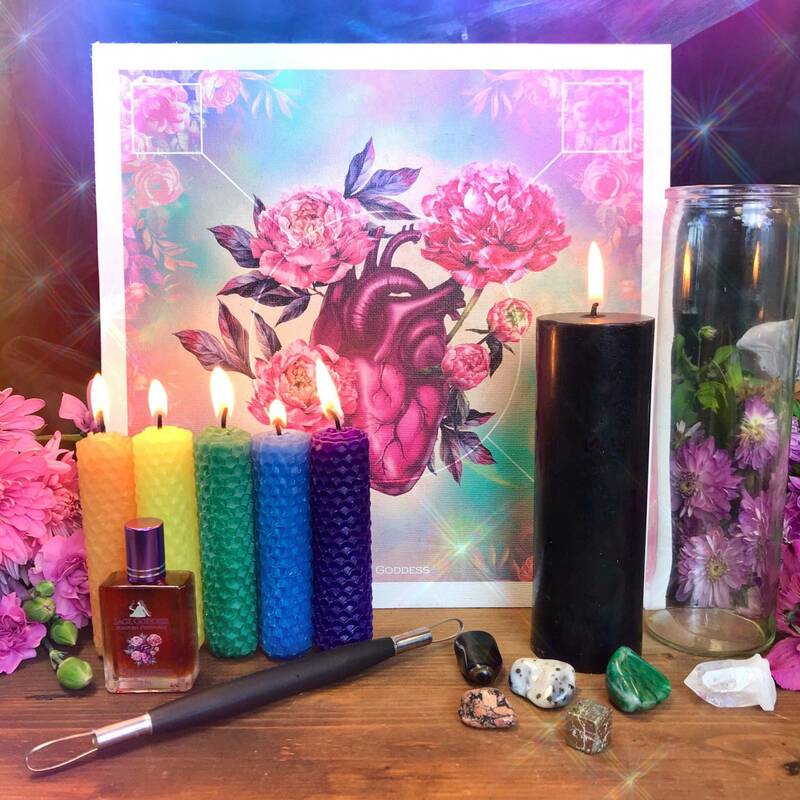 My Magical Holiday Trio is a special gift for you or anyone on your list who loves the season and wants to celebrate the spirit with an open heart. 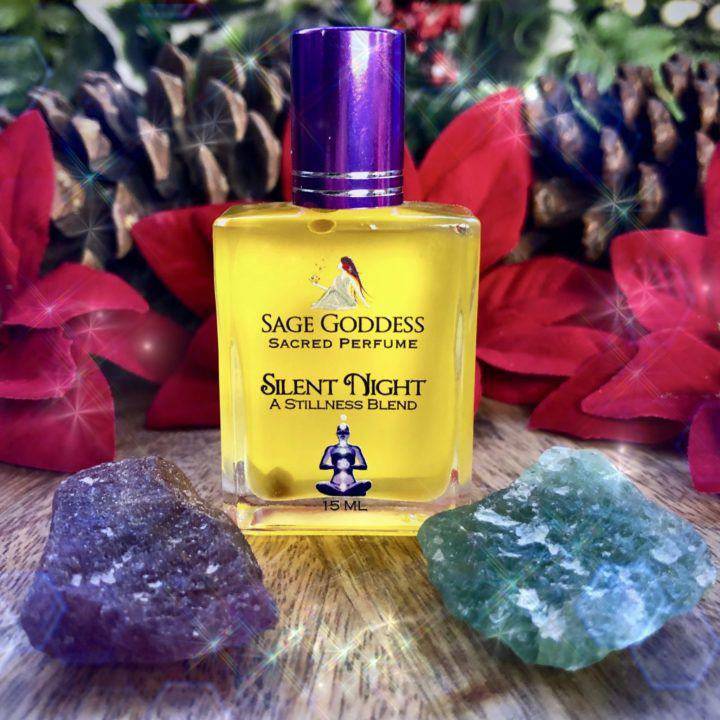 With cherry and emerald green tanzurine, plus a bottle of Silent Night Perfume, this trio brings out renewed energy, joy, peace, hope for all good things, and the wisdom of your soul. First in this set is one (1) cherry tanzurine (about 1”). Cherry tanzurine is a recent discovery on the African continent. The name tanzurine is a trademarked name given to the stone by Ariel Treasures LLC, the company involved with mining the stone in cooperation with the local villagers. This stone is a combination of the elements earth and fire. It works in the physical realm vigorously and assists with transformation. Cherry tanzurine is a stone of vitality, confidence, creativity, and sexuality. It motivates you to make your dreams a reality. Cherry tanzurine gives you the feeling that you can handle the world. It helps you to overcome problems and to persevere in difficult situations. This gem also makes it easier to forgive yourself and make fun of your shortcomings. Next, is one (1) emerald green tanzurine (about 1”). 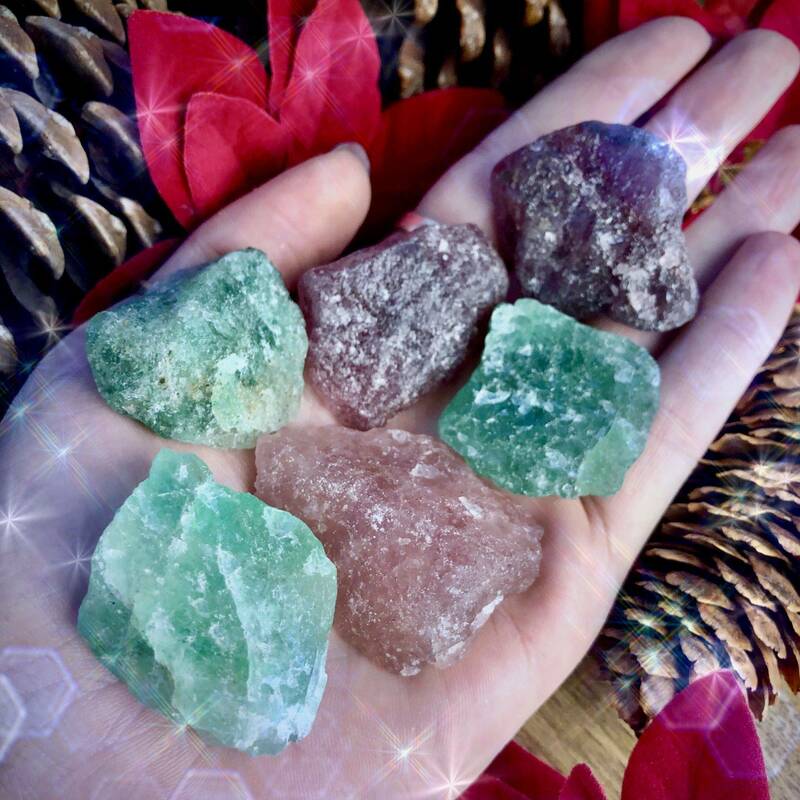 This gem is hailed by many as the “Maximum Capacity Healer” – and once you experience its sublime energy, you will understand exactly why. 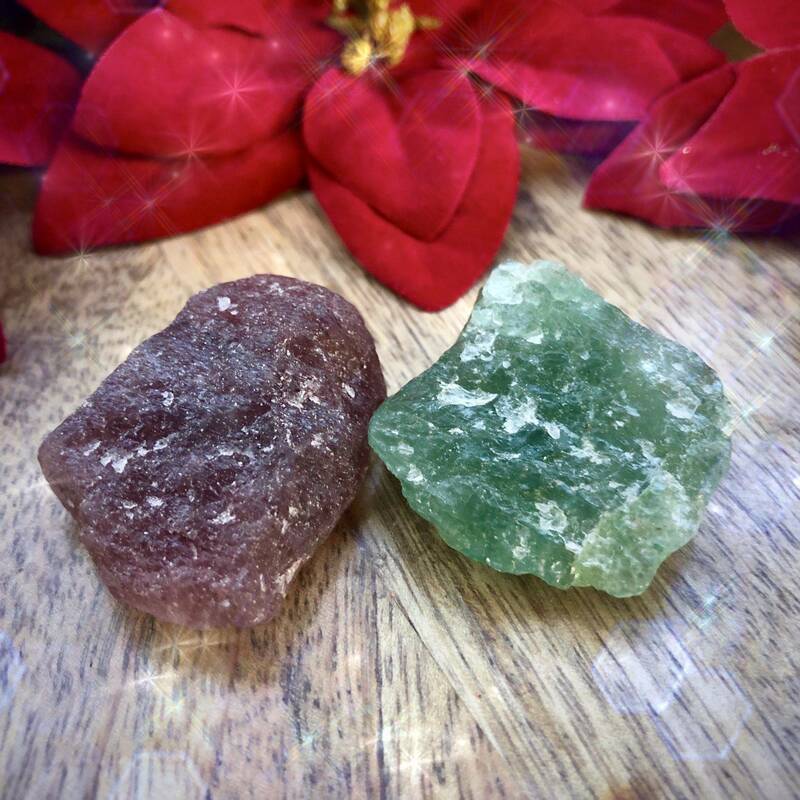 Green tanzurine resonates with the Heart Chakra and brings forth powerful feelings of joy, peace, and serenity. This stone will open you up to give and receive love, and facilitate forgiveness of both the self and others. Work with this incredible stone to call in potent vibrations of healing, growth, and good fortune, and to send those energies all throughout your sacred space. Last in this set is one (1) 15 ml bottle of my Silent Night Perfume. Silent Night embodies notes of jasmine to enhance prophetic visions, fir for a celebratory feeling and to refresh the heart and soul, and blue lotus to stimulate your innate wisdom and intelligence. 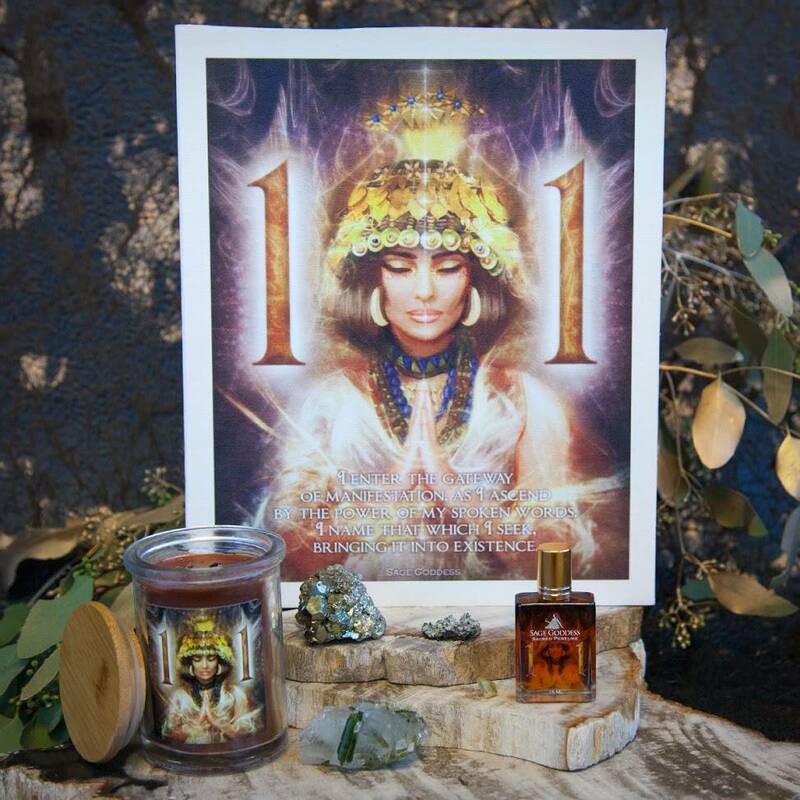 Anoint yourself with this mystical blend to accompany you into the sacred mysteries that can only be revealed in the silence of your heart. 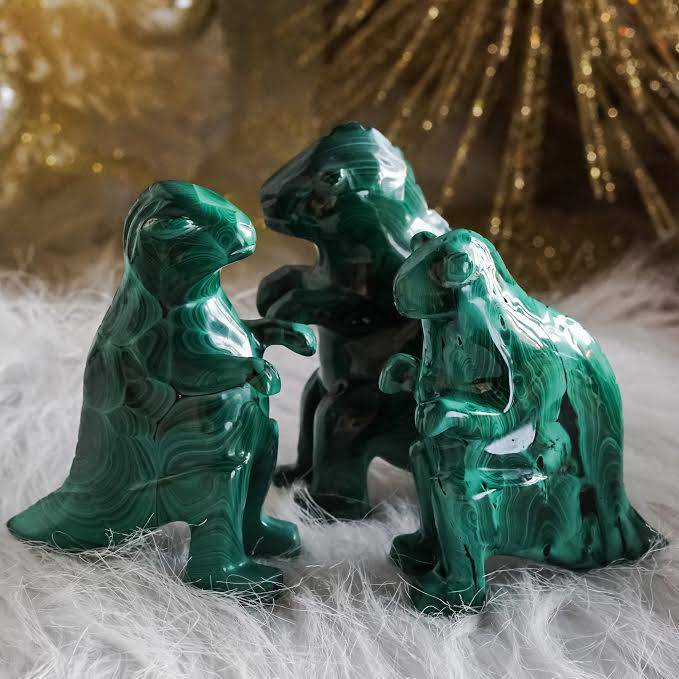 This listing is for one (1) Magical Holiday Trio as described above. Yours will arrive lovingly parceled along with a single leaf of white sage and cards describing the properties of the stones.